As one of the most common diseases that affect the elderly, understanding Alzheimer’s Disease is important when taking care of someone who is showing its symptoms or who already has it. ExPO Signature Home Care presents a brief guide to understanding what this disease is. Alzheimer’s Disease or AD is a chronic neurodegenerative disease that starts slow and begins to worsen over time. This disease is the most common cause of Dementia among seniors. Although the age where it is most likely to begin is 65, early-onset Alzheimer’s starts much earlier than that. Though associated with old age, this illness is not part of the aging process because individuals under 65 can still suffer from it. A very common sign in the early stage of Alzheimer’s is difficulty in remembering recent events. But, as it is a progressive disease, the symptoms get worse over the passage of time. Individuals who are in the late stages of this disease will lose the ability to carry on a conversation or respond to their environment. Currently, there is no cure for Alzheimer’s, but there are treatments for its symptoms. It is common for a Home Care Provider in Manalapan, New Jersey to care for Alzheimer’s patients. Though treatment cannot stop it from progressing, they can slow the symptoms of Dementia and improve the patients quality of life. For many families, looking for In Home Care in New Jersey is a good option when they want their loved ones with Alzheimer’s taken care of. There are a variety of services offered to help patients achieve a higher quality of life. 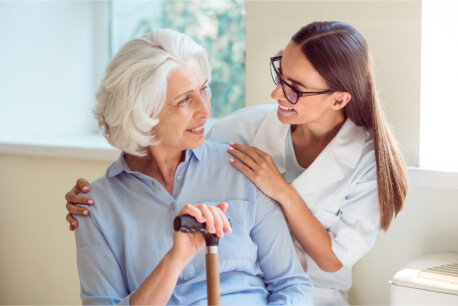 You can easily get a caregiver from a Health Care Service in New Jersey to come and help you take care and understand your loved one’s illness. Please don’t hesitate to get in touch with us and give your loved ones the care they deserve. This entry was posted in Home Care and tagged Alzheimer's Disease, Common Cause of Dementia, Understanding Alzheimer's. Bookmark the permalink.